Things like the type of ink used, the intensity of your pigment, the type of procedure you’ve chosen and your commitment to aftercare will all affect the longevity of your cosmetic tattoo. Most of this is out of your control, but one thing which is most definitely within your sphere of influence is the aftercare you’re committed to providing. 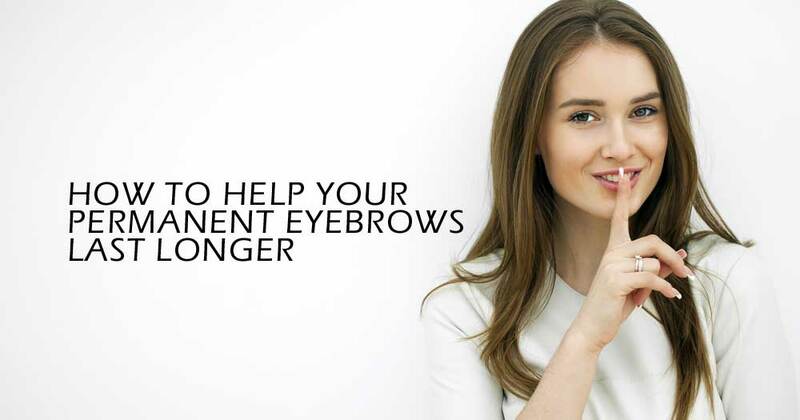 Here, we’ll take a look at the best ways to care for your permanent eyebrows to give them the best chance of a long lifespan. The reasons for this is that your skin is already beginning the healing process. These symptoms can last up to 72 hours and can be easily relieved with over the counter pain relief. During these first few days, resist the temptation to itch your eyebrows or to apply any sort of cream or ointment aside from any your practitioner has given you. Using your ointment as instructed: Your practitioner may have given you a healing balm to use. This should be gently applied two to three times daily, as instructed, using clean hands and a clean cotton bud for each application. Remove any excess with a clean tissue. ; less is more and your skin needs air to breathe and heal. 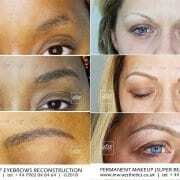 With some eyebrow tattoo techniques we even advise dry healing, with minimal or no use of any ointment at all. Your practitioner will advise you personally about all this during your consultation. Resist the urge to scratch your skin: Some itching is normal; it’s a sign that your skin is starting to heal itself. Do not pick at or scratch the treated area as this could cause scarring, infection and a poor colour result. Your eyebrow tattoo may flake a little; this is also perfectly normal and should be left to heal naturally. Avoid makeup and products: In the area where you have had your eyebrow tattooing done, you should not apply anything other than the supplied healing balm. Any moisturisers, makeup, oils or lotions could cause infection or a reaction in your skin, which will be detrimental to your end result. Don’t wash your face: This might sound a bit gross but getting water on the treated area can cause problems with the semi permanent tattoo. Instead of splashing water all over your face, use a cleanser to clean everywhere but the tattoo itself. If you do get your eyebrow tattoo wet, pat it dry gently with a clean tissue. Pin back your fringe: If you often have hair in your face or a fringe, take care to clip it back for the first week at least. Hair getting into your tattooed eyebrows can cause infection which will disturb the way the colour sets. Avoid sun and sunbeds: Large sunglasses or a brimmed hat can offer great protection for your eyebrow tattoos from the sun. Don’t go on sunbeds or take part in any activity that could cause excessive sweating such as sports or saunas. 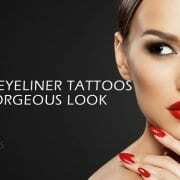 Taking care of your tattoo at this early stage can mean the difference between a beautiful, long lasting cosmetic tattoo or a disappointing result. Remember, your colour will inevitably be darker now than the end result, so don’t assume that the colour is wrong; give it time and it will soften to the perfect shade you wanted. Most eyebrow tattoos will have healed well by the time two weeks are up. During these two weeks, you should take care to avoid sunbeds, sunshine, swimming pools, salt water and direct shower spray. You don’t need to be quite so careful about washing your face, as long as the water is cool, and can finally get your fringe back down without worrying about infection. You should have been given a follow up appointment by your practitioner for four to eight weeks after your initial treatment. This is a great opportunity to evaluate the colour and shape now that things have settled down. 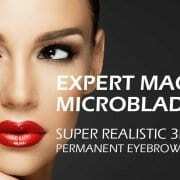 Your semi permanent makeup practitioner will go over your brows, re-applying more pigment and addressing any issues of patchiness or uneven shape. Just as when you had your first makeup tattoo done, you should take good care of your eyebrows for the first seven days following your touch up. Even after this, do avoid rubbing or scratching your eyebrows for several weeks, as this could cause premature ink removal and result in your tattoo fading too fast. 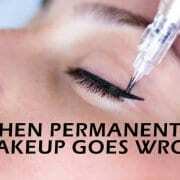 Although all these permanent makeup aftercare instructions may seem a little daunting at first, most of it is simply common sense. Your practitioner is always at the end of the phone for support, whether it’s been a month or a year since you had your treatment. There’s no guarantee as to how long semi permanent brows will last, but with a little care and consideration, you’ll ensure you achieve a great result for as long as possible. For more information on aftercare, or anything to do with our treatments, get in touch with MW Aesthetics for help and advice. 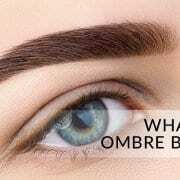 Eyebrow tattooing - Is it really worth it?